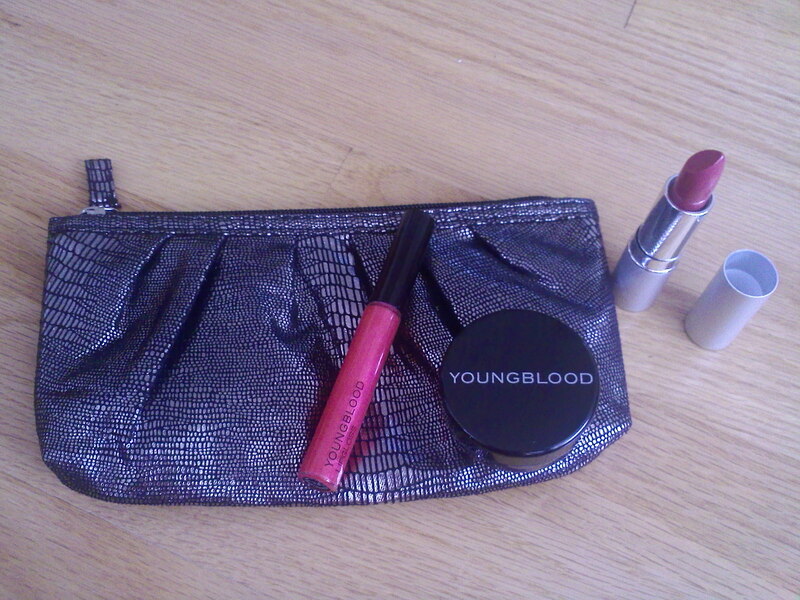 Go red this Valentine's Day with Youngblood Mineral Cosmetics! I have been a personal fan of mineral makeup for many, many years now. For me, it gives me a natural, flawless face, and the ingredients are natural so it lets my skin breathe. So, you can imagine my excitement whenever I got the chance to try this new mineral-infused makeup brand, Youngblood Mineral Cosmetics. Discovered at NYC's The Beauty Plaza, this trio kit has gorgeous red must-haves to wow your date on Valentine's Day. This trio set comes in an adorable clutch to stash your beauty must-haves and 3 gorgeous products to look rouge-ready for Valentine's Day. 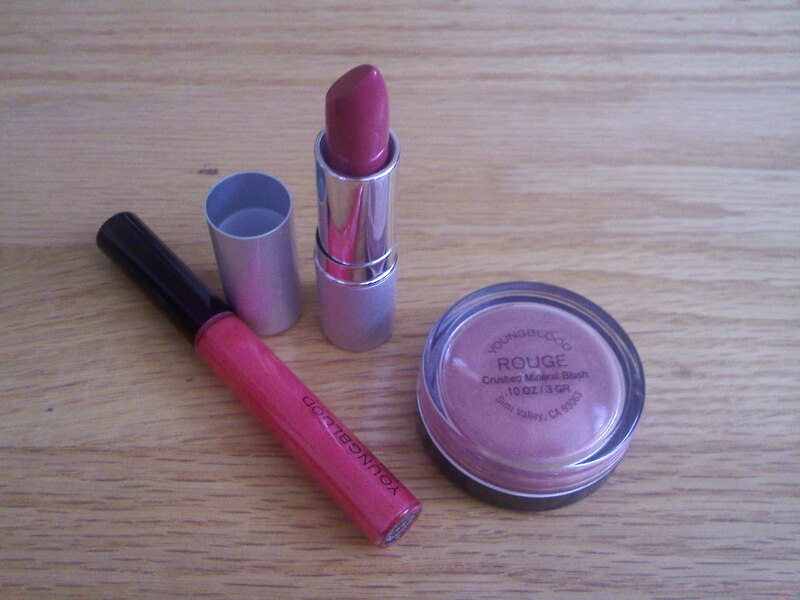 The Crushed Mineral blush in Rouge, a classy and stylish rosy colour ($22, USD), a bright shimmery pink lip gloss in Promiscuous ($23, USD) and a pretty red lipstick in VIVID ($16, USD). The products themselves are fabulous and the colors are rich and moisturizing. I adore this kit because the products are really good. The blush is long lasting and even a tiny bit of the blush gives me a hint of color. The lipgloss isn't too sticky and gloopy and gives it a nice bright hue. The lipstick is perfect (even looks a bit blue-based tone to make your teeth look white and brighter) to get berry-stained lips that look moisturized and kissable! All in all these products will enhance your overall Valentine's Day look and the products are neatly packed in a handy little clutch for you to take with! To see more Youngblood Mineral cosmetics, check out The Plaza Beauty in NYC for more luxurious beauty essential right near Central Park.